It resembles a pair of wooden flutes. 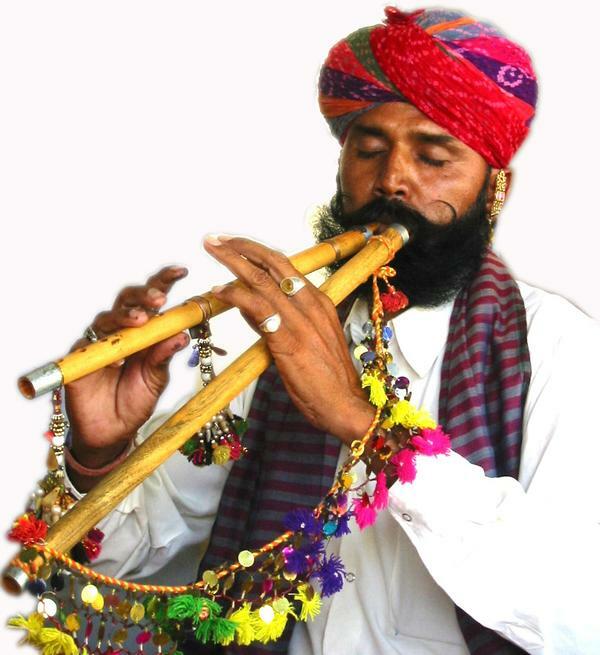 The musician plays it by using three fingers on each side. Sound is generated by breathing into it rapidly; the quick recapturing of breath on each beat creates a bouncing, swing rhythm. It is generally used as a folk instrument and Punjabi folk singers use it to play traditional music such as Jugni, Jind Mahi, and Mirza. The greatest exponents of Alghoza, however, are the Sindhi musicians (Late) Ustad Khamisu Khan, (Late) Ustad Misri Khan Jamali and Akbar Khamisu Khan (Khamisu Khan's son).